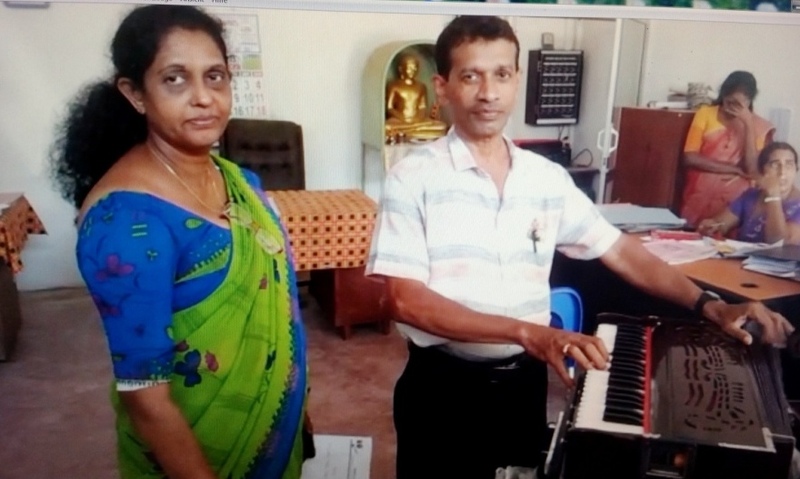 Last year already, music teacher, Mrs. Chintha, asked our Vice-president to donate a new instrument for music lessons at Anura College, because the old one was really ruined and defect. It’s really different from traditional Singhalese instruments. You have to play the keys with your right hand and operate a kind of bellows with your left hand. 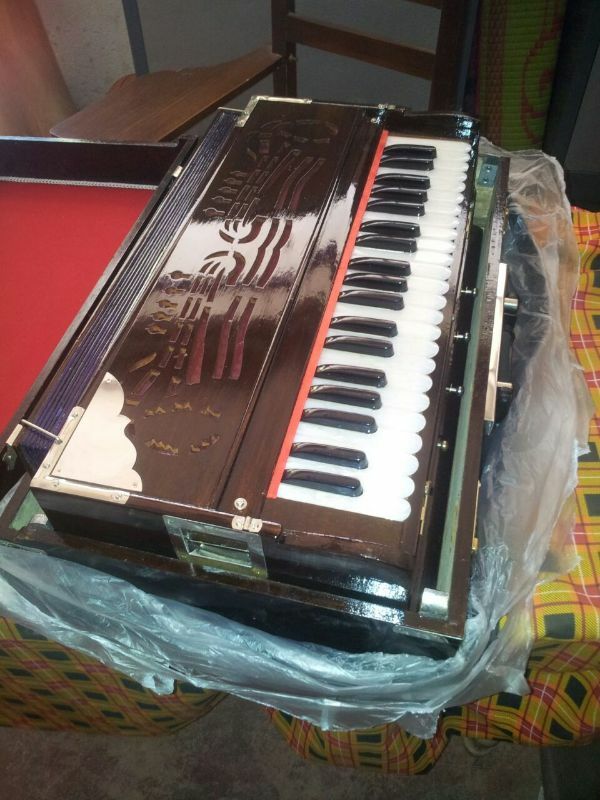 Different from traditional Singhalese instruments, this object can be helpful to read music, learn about Western tunes and get insight into classic music or modern Western elements of music. Teachers, trained in this field, can be called “teacher of Western music”. Now, the money for a new instrument could be donated by Neuwied-Matara-Friendship- Asssociation. 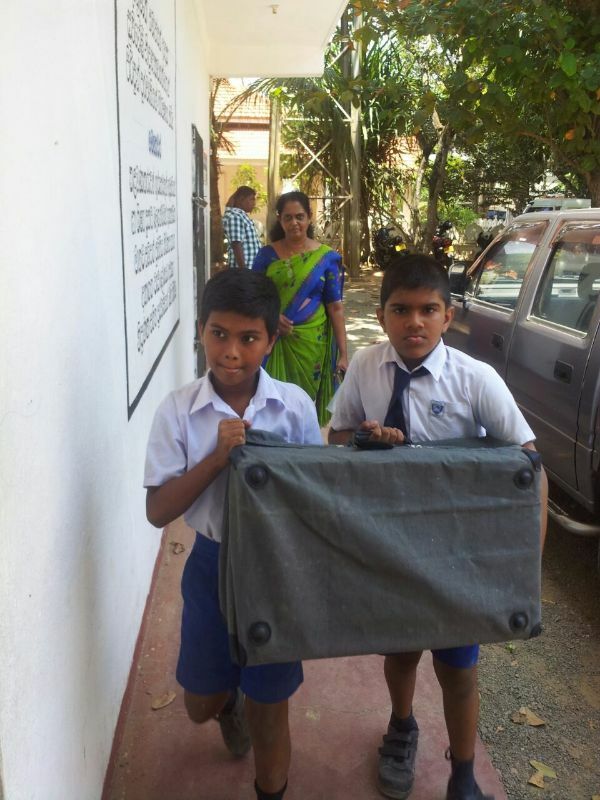 Our coordinator, Mr. Ruwan Abegunewardene, handed over the money and helped to transport the new instrument to school. Two students were asked to carry it to the music room. There was real happiness and thankfulness! And students will be happy, too, to benefit from the new acquisition. We hope to be sent some pictures when the new Sarpinawa is used in music lessons.